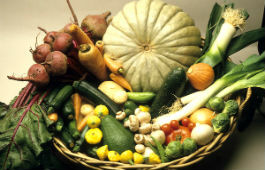 Vegetable production is one of the most important horticultural industries in Australia, with an annual production of 3.4 million tonnes valued at 2.2 billion dollars. Fifteen per cent of the Australian production is grown in NSW and supplies both the processing and fresh market. The majority of the vegetables grown in Australia are grown for the fresh market (60%) and sold on the domestic market. NSW DPI has two major research centres with a focus on vegetable research. The National Vegetable Industry Centre located at Yanco Agricultural Institute in the Riverina and the National Centre for Greenhouse Horticulture located at Gosford Horticultural Institute on the central coast. Research and extension officers located at both centres play a leading role in supporting the NSW and Australian vegetable industry with its substantial research, extension and information capacity. NSW DPI staff are involved in projects investigating issues such as pest and disease management, integrated pest management, irrigation, and variety assessment. Know your pests and spot the diseases. Learn more about troublesome diseases in NSW.